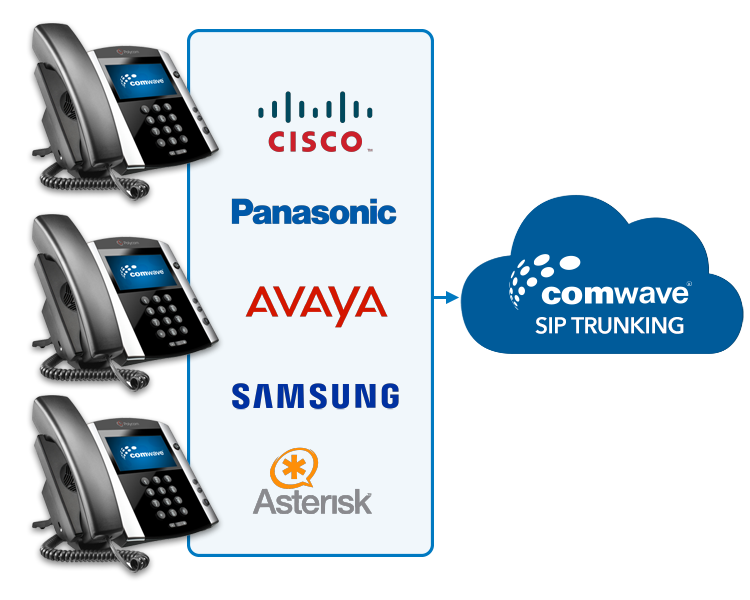 Comwave SIP Trunks are compatible with and widely used by leading phone systems and providers in Canada. Comwave SIP Trunks are compatible with and widely used by leading phone systems and providers in Canada. Scale your business to meet the demands of your customers by adding new trunks in minutes just with a click of a mouse. SIP Trunking is a voice service offered by Comwave that allows compatible phone systems to place calls over an IP connection to Comwave (VoIP). While SIP Trunking is indeed VoIP, it doesn’t generally use public residential internet connections like traditional VoIP home phone services. Inquire about SIP Trunking with a dedicated managed connection from you to Comwave, guaranteeing you even higher quality digital phone service. 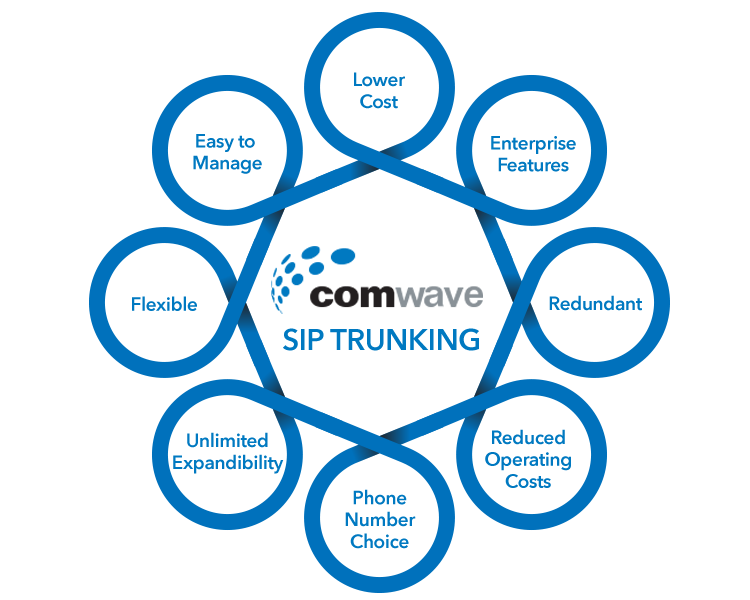 Comwave is Canada’s largest SIP Trunking provider, operating the largest redundant national network. While some phone companies offer minimal coverage in Canada, only Comwave operates in every Province and State. Whether you own a small business in Victoria, BC, or a large national chain, only Comwave can provide a single point of contact. Includes 500 minutes of long distance to Canada and the US. Includes 2500 minutes of long distance to over 45 countries.